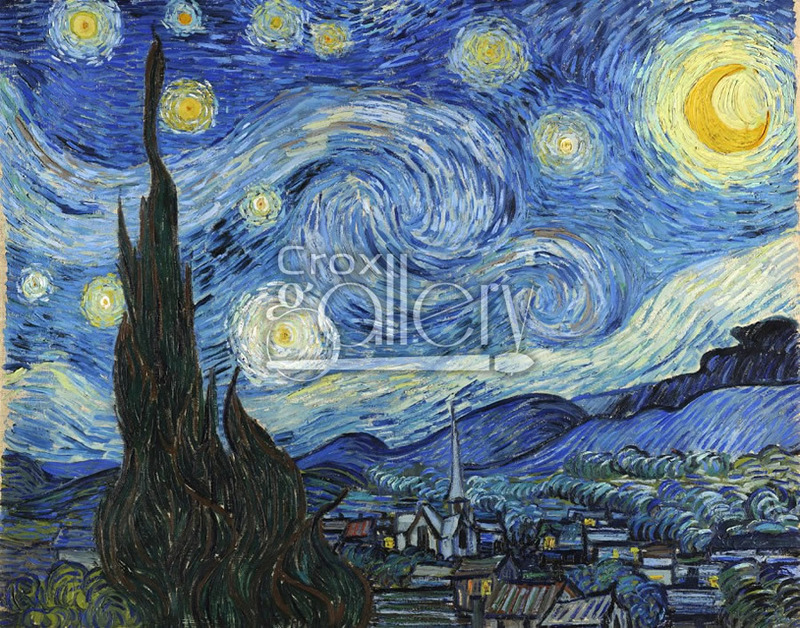 "The Starry Night" by Van Gogh, Famous Painting. 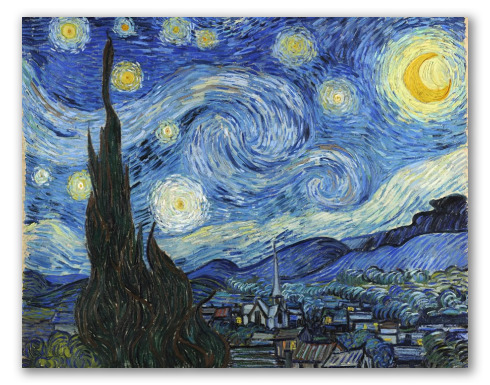 Starry Night by Vincent Van Gogh, is one of the most famous paintings in the world. It has great decorative value and has been appreciated for decades for its sinuous forms and deep blue colors. It was painted in 1889. 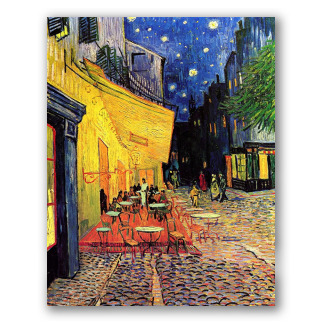 The painting is about what Van Gogh viewed at night through the window of his room at the mental hospital of Saint-Remy , where he lived the last years of his life. The village in the painting is represented in the background, the tranquility and the dark colors contrast with the vibrant composition of the sky, where the voluminous textures transmit vividly what Van Gogh wanted: the painting is centered in the heavens and not the earth. He also mentions his great desire to paint the sky, on a letter to Emile Bernard (another postimpressionism artist) "When will I paint this starry sky, this painting that is always in my mind?" said Van Gogh on June 1888. This painting is not only one of the most copied in history, it has gone far beyond that. It has inspired mankind: painters, musicians...etc. One of them was Don McLean, who after reading Van Gogh's life, writes his most famous song called 'Vincent'. 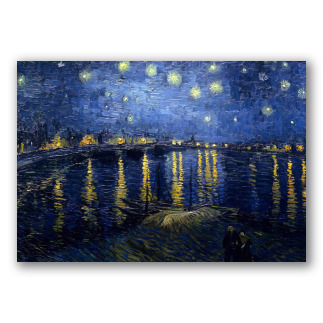 McLean, declared admirer of the works and life of the artist, writes these words full of emotion: "On that starry, starry night You took your life as lovers often do-- But I could've told you, Vincent: This world was never meant For one as beautiful as you." This work of art is situated at MOMA, The Museum of Modern Art in New York.